Sweet and salty treats is definitely where it’s at! Love this idea, and it looks so quick and yet still such a pretty treat! Love those chocolate drizzles! Use a stand or a hand mixer to cream together the butter and brown sugar. Mix in vanilla, salt, and flour, then stir in chocolate chips. Line a cookie sheet with wax paper. 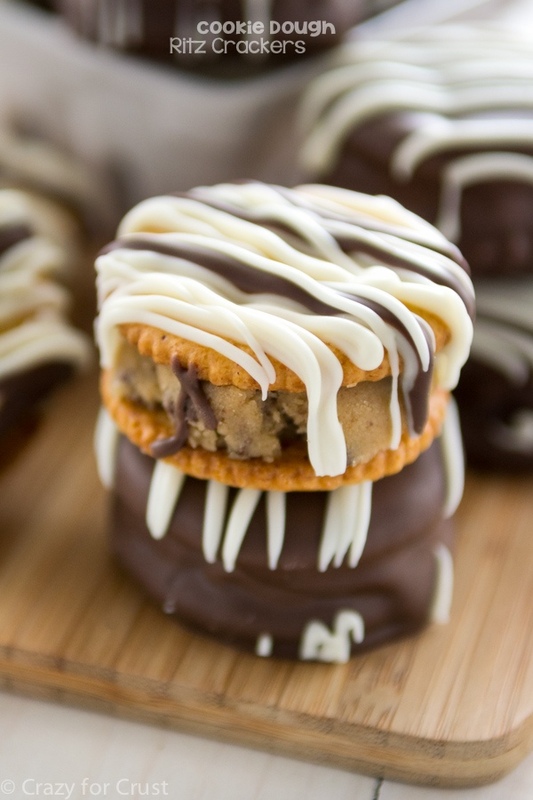 Scoop 1 tablespoon balls of cookie dough and sandwich them between two Ritz crackers, pressing gently to compact. Be careful so you don’t break the crackers. Melt chocolate according to package directions. 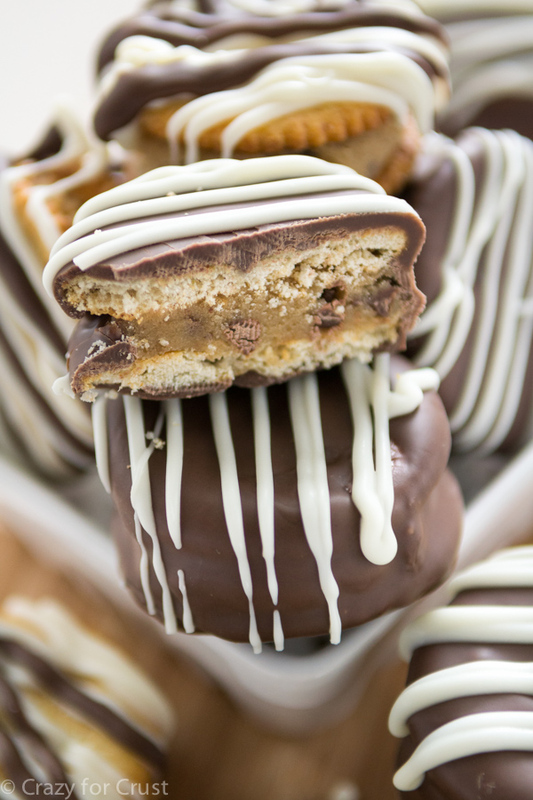 Dip each Ritz cracker sandwich in the chocolate, tapping off the excess, then placing back on the cookie sheet. Chill to set. Optional: instead of dipping, you can place the chocolate in a ziploc baggie and cut off one tip, then pipe over the top of the sandwich. Also, you can do this same method with leftover chocolate to drizzle on top of the dipped sandwiches for decoration. Or, sprinkle the wet chocolate sandwiches with sprinkles for decoration. See this tutorial for all of my dipping tips.